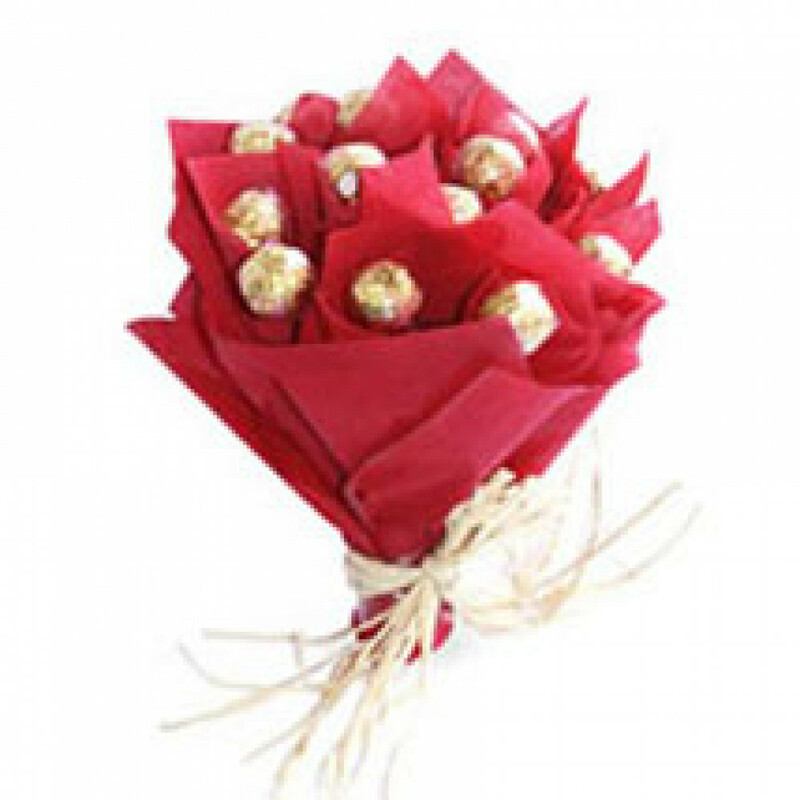 This bouquet is beautifully wrapped with 16 delicious Italian made chocolate Ferrero Rocher which has pistachio, crunchy titbits almond and whole pistachios in it. Whether it is for your loved one, your close friend or any body you admire this bouquet is perfect for everybody. It will surely bring a broad smile on their face making it a very good day for them.